The New Suffolk Common School District has responded to an audit from the Office of the State Comptroller that said the district has not complied with Local Finance Law. 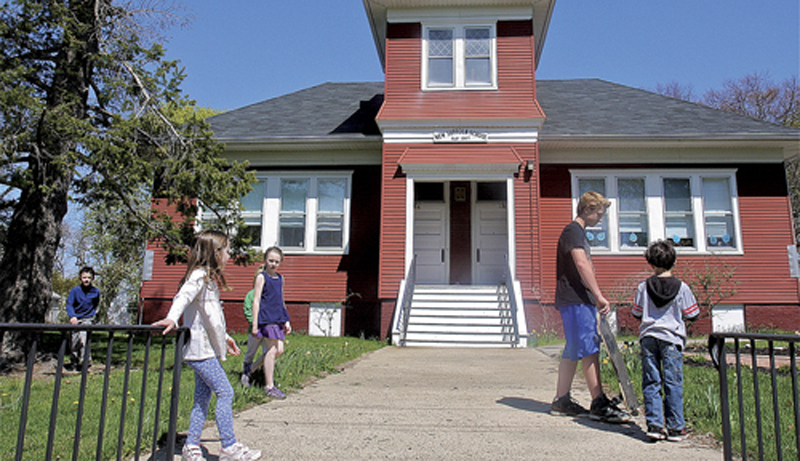 The small red schoolhouse on 4th Street in New Suffolk almost closed earlier this year. The New Suffolk Board of Education is hoping to cancel next Tuesday’s public vote on tuitioning elementary students to another school. The New Suffolk Common School may be able to educate students in the red schoolhouse next year after all. The New Suffolk School District, which has just 15 students, could end up shutting its doors in the near future. Former New Suffolk School teacher Martha Kennelly, who has spent two years fighting with the district that refused to reinstate her when a special assignment ended, appears to have won her case that would force the district to reinstate her and pay back wages and benefits from June 30, 2015, according to the decision written by State Commissioner of Education Mary Ellen Elia. Nobody wants to be the new kid in school. That’s a lesson long taught to students to help them better understand the impact of bullying. Now, technology introduced to students at New Suffolk Elementary School is helping them share that valuable lesson in an interesting way. The school’s fifth and sixth grade class is using iPads to create a mini-movie that will serve as a public service announcement on bullying.